Last night I arrived chez Kevin to discover the beer that he and Tess started some weeks ago had been kegged and tapped. Inspired by many batches of tasty U-Brew while living in Queen Charlotte City, there was plenty of motivation to pick spruce tips during their bloom this spring. When I left Haida Gwaii on May 3 the spruce were budding but not yet in bloom. With Vancouver being substantially further south, by the time I arrived the spruce were substantially done blooming. Fortunately the road back had a few stops along the way. On May 13 in Bamfield the spruce trees were in perfect bloom. About 140 g of them made the journey back to Vancouver. The whole lot of them went into a batch of beer being made by Kevin. Whereas in Haida Gwaii we were putting them in U-Brew, Kevin made this batch from scratch. The tips went in at the mash stage so the spruce flavour is even stronger than our prior batches, but it is also less sharp – I think because the mash effectively cooks the spruce tips. After an evening of winning at frisbee Kevin and I went back to his place to have our first try of the beer. 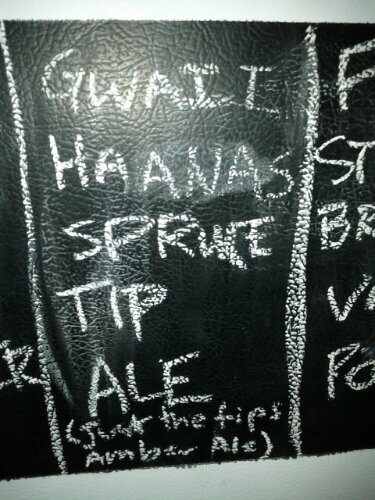 His roommate had named it “Gwaii Haanas Spruce Tip Ale” in honour of the beer’s inspiration. This entry was posted in Community and tagged Bamfield, beer, Gwaii Haanas, Kevin, spruce. Bookmark the permalink. Seriously? We need some reports of flavour! Was it a success? 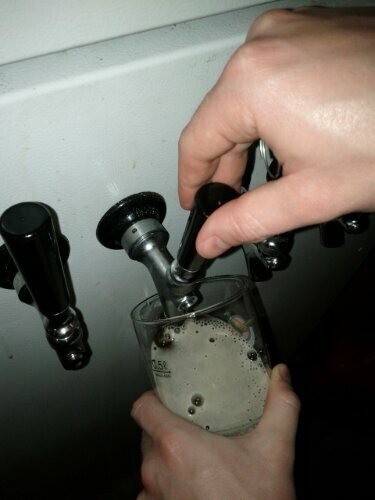 Pingback: Spruce Tip Ale at Brewbecue 2013 | The Mostly Harmless Brewing Co.